After I learned about Katana ZERO a mere day beforehand, Niche Gamer gratefully received an early build. Developed by Askiisoft (the same people behind flash game Tower of Heaven) I knew I would be in for a ride. While the game’s full release is not until March of this year, the quality on show here is extremely impressive. Read on for our preview. 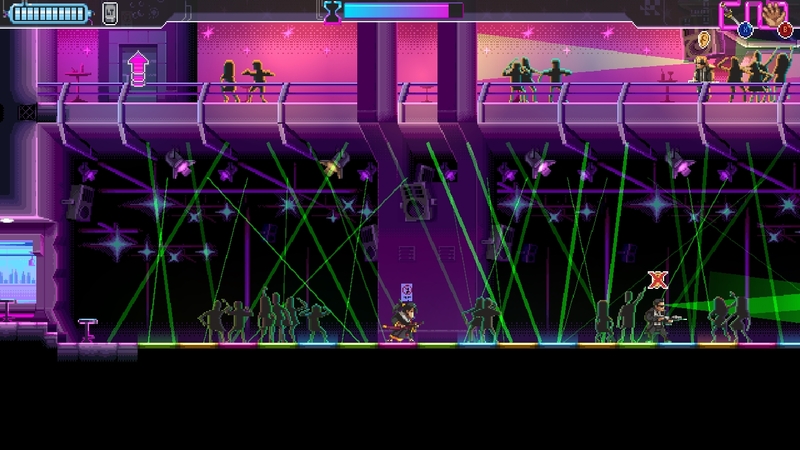 Taking place in New Mecca, the game is proclaimed as “neo-noir” with a healthy dash of the 80s. Although the noir part is less classy and bleak, and more brutal and horrific. The story focuses on “The Dragon”- A samurai who works as an assassin. It is difficult to provide too much detail without spoiling some great surprises. In short and spoiler free, the concept of merely going into each mission and killing everything is quickly shattered. Conspiracy, the aftermath of war, a dystopian world, a shrink, a little girl, and an ominous countdown really draw you in. 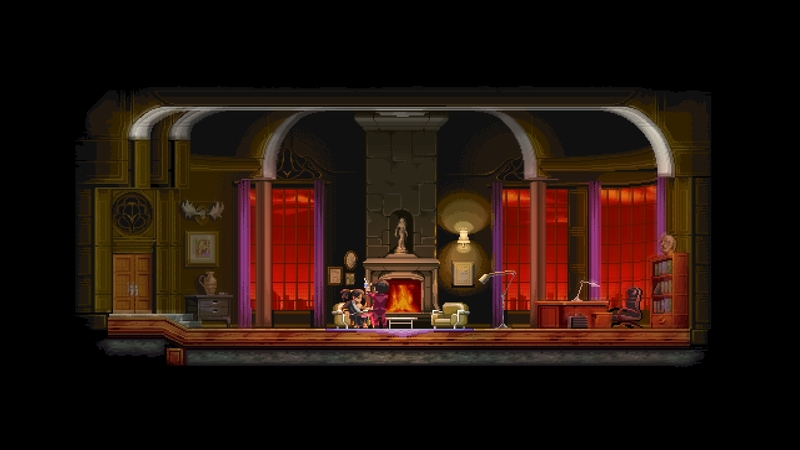 This is not to say Katana ZERO is misery incarnate. The game certainly does have wit, and some dialogue gave me a hearty chuckle more than once. It comes across as so “quirky” you would mistake it for a JRPG, yet it never becomes farcical. It sets up the more serious moments to blind-side you brilliantly along with providing some levity. The dialogue choices and choices you can make during a level open up many directions for the story to go, though it does not seem like multiple endings are on the cards as of yet. The choice boils down to how much you choose to listen to your orders. While the choices do change events, I have a sneaking suspicion that the player is slightly rail-roaded into specific events. Since you can replay old levels, this makes sense. While a branching narrative would have been nice, I am not upset it is absent. The dialogue alone is enough to make me replay it. As previously mentioned, your goal in each mission typically is to kill everyone in a level to reach a target at the end. The level is divided up into a series of rooms, and one hit is instant death for both you and enemies, forcing you to restart the room. Technically each room is the protagonist using precognition to decide what he should do, and the subsequent replay is what really happens. This does not make too much of a difference in gameplay, but there is a time-based mechanic and time is a frequent recurring theme. You have a hefty but fast sword slash; which moves you a little bit in the direction you slash in, which can give you that extra inch of reach. You can also role and be invincible for a short time, and focus to slow down time. While in slow-mo, you have a much easier time reflecting bullets with your sword (which you can technically do in normal speed with extreme reflexes or good luck). Though there was one instance I had to use it to get through a spinning fan blade. These three combined with jumping keep things simple, but levels quickly evolve.I was impressed with how much variety there was in how the levels could operate, along with how you could clear a room. You can pick up objects and throw them. 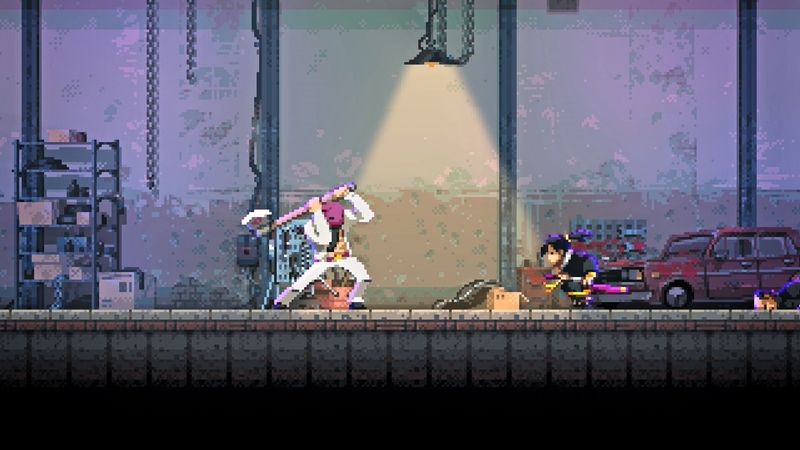 Enemies armed with crowbars can survive but be stunned if you attack at the same time as them. 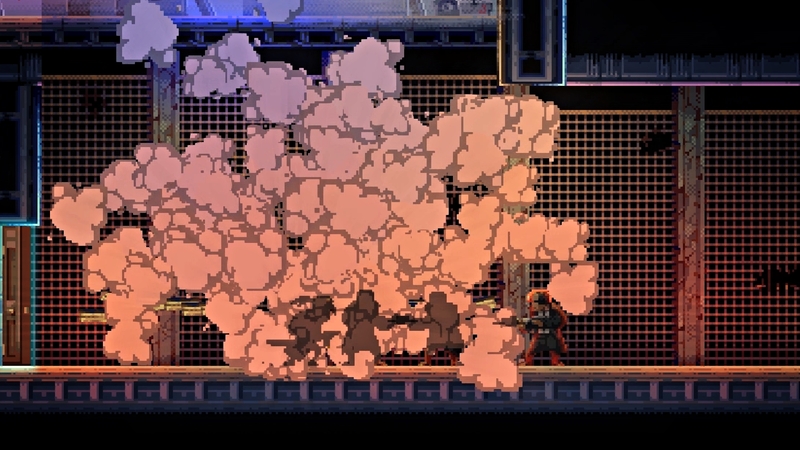 You can create thick smoke or steam by breaking pipes or throwing a smoke grenade to prevent enemies from seeing you. Speaking of; there is a greater focus on stealth mechanics as the game progresses. When stealth is part of the mission (i.e. kill only the target and no one else), enemies have vision cones and you can also hide via the environment- standing somewhere dark or ducking into a side-room. These fit in brilliantly with how quick and lethal both you and your foes can be. It is an annoyance there’s no “hearing radius” to tell where a foe can hear you, but you can quickly work out the approximate distance. The stealth and action gameplay both fit within the game side-by-side; the action gameplay arguably being a more lethal stealth-puzzle. Failure is a punishment to be sure, but the fact every room is a checkpoint (some becoming quite long still) means that you can jump right back into the action. “Every battle is a puzzle” sounds like a reviewing cliché, but here, it is the honest truth. The difficulty curve is not too brutal either. With my brief time with the game I quickly went from hyper-cautious, to tearing through the scene effortlessly… On my twentieth attempt after learning the ins-and-outs of a room, working out the timing, and successfully executing it. My only real qualm is that while the game has a timer per-room (which resets on each failure), there seems to be no form of time-attack. This was not a deal breaker, as there is a greater focus on the story and gameplay. It just seemed a perfect fit. Perhaps it will be in the full game? 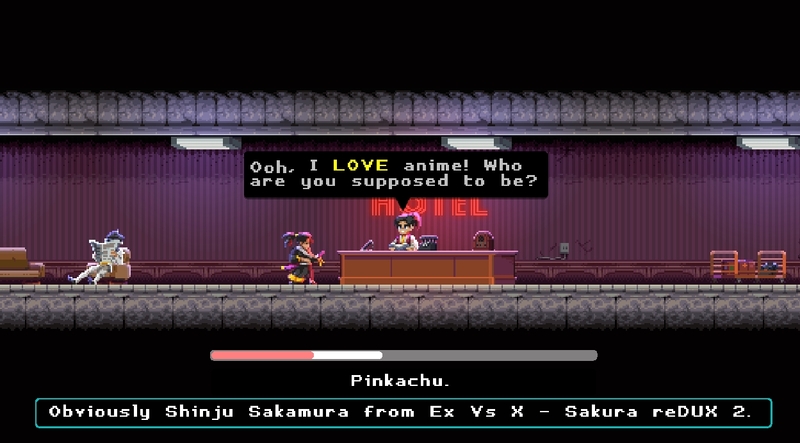 Praising dialogue systems is something usually reserved for an RPG, but Katana ZERO has a system I now pray more games use. You essentially have a timer bar at the bottom of the screen, giving time for the character to speak (in red) and for you to respond (in white). You can interrupt while the timer is in the red, or you can wait to respond; usually opening up more options. The speed at which this bar moves, combined with what is written is probably the closest thing I have seen to accurate conversation mechanics. You can interrupt, or you can hear someone out and get more options. Sometimes you are panicked and have less time to weigh up what to say, and its consequences. To think a non-RPG has such a brilliant system almost puts the genre to shame. Especially in cases where other games pride themselves on realism, yet allows you to stare blankly ahead for hours on end, and with your dialogue having little consequences. The graphics are heavily inspired by retro style games, but the pseudo something-bit style here has clearly had a lot of hard work put into it. The only times it does not look like a retro console could have pulled it off is when it looks better. I would even dare to say it could be one of the best looking games of 2019. Moreover, the games style and presentation is exceptional. From the 80s synth soundtrack, subtle lighting effects, how it lulls you into expectations and then sucker-punches you is brilliant. This is going to be one of those games where people talk about “that moment when” for a while, something that can only happen when the story and presentation is exceptional. I have never been so glad to get my hands on a preview. 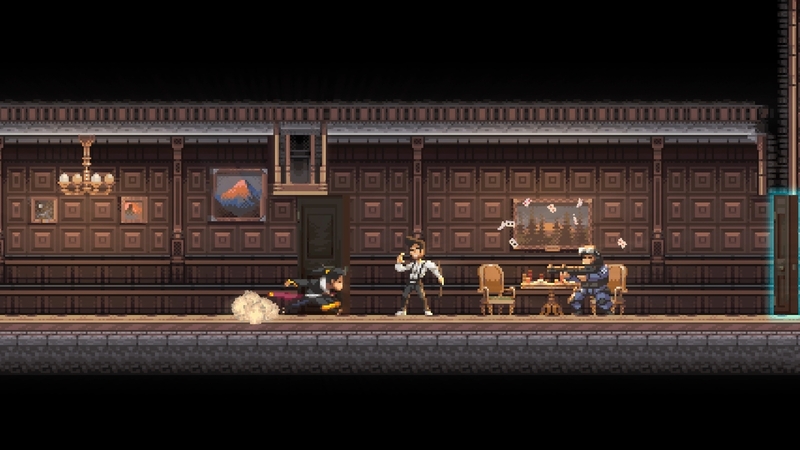 If this build of Katana ZERO is indicative of what the full game will be like, I can firmly say it will be getting a 9. A challenging action and stealth game that is simple to learn but difficult to master; is brilliantly combined with a story that is shaping up to be something fascinating, and presented in a way that will not be forgotten anytime soon. 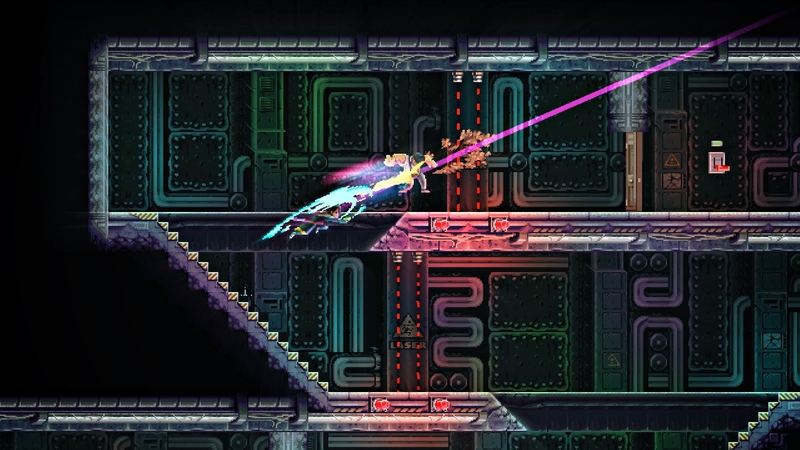 While the full review is a ways away, I have a sneaking suspicion Katana ZERO will be a cut above the rest. 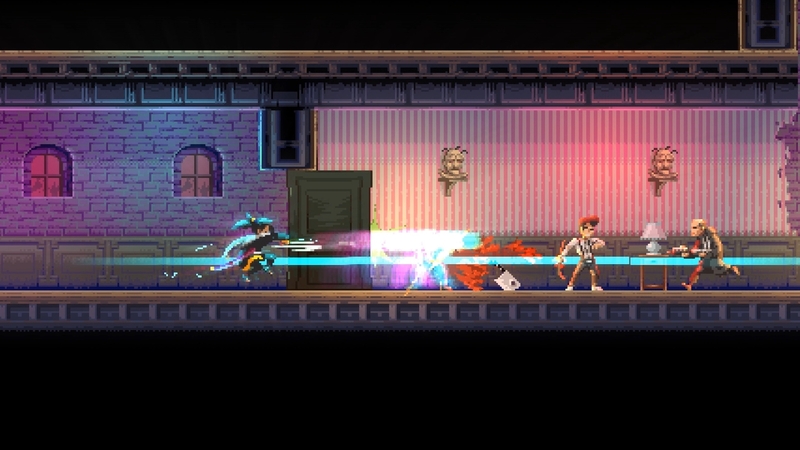 Katana ZERO was previewed on Windows PC using a review copy provided by Devolver Digital. You can find additional information about Niche Gamer’s reviews/ethics policy here.